Citrus yuri manga creator Saburouta posted on their official Twitter account on Sunday that the latest upcoming chapter of Citrus Plus will not be released in the February issue of Comic Yuri Hime which is expected to be released on January 18. The tweet however assures that the series will return in the next issue. Citrus is first published in the said publication on November 2012. An anime adaptation of the manga was aired in Japan last January 2018 and ran for a total of 12 episodes. The manga has compiled a total of 10 volumes so far. Seven Seas Entertainment has licensed to release the series in English. 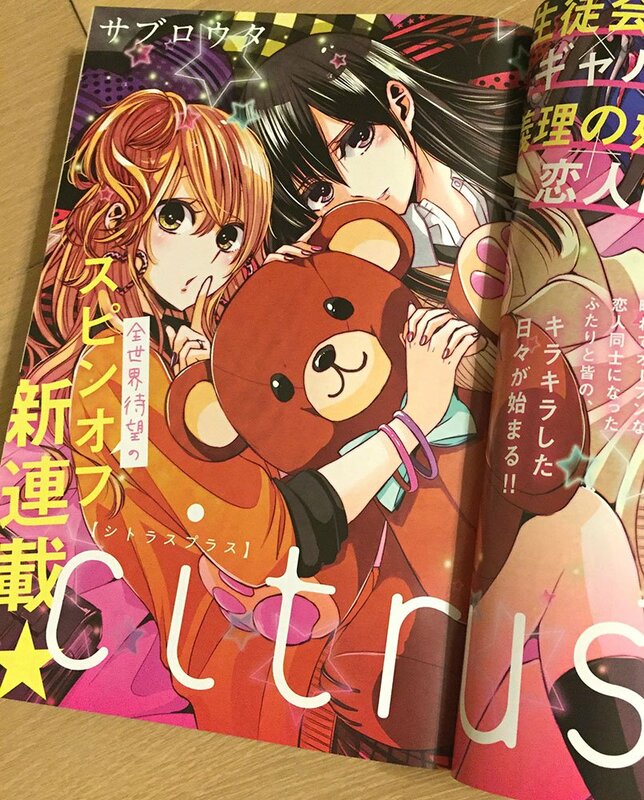 The announcement of the spin-off series Citrus Plus was announced back in August 2018 during the release of Citrus‘ 41st chapter. Previous The Lily Cat Editorials: A Happy and Hopeful Yuri-ful Year To You! Next Asia Pop Comicon Manila Returns Bigger and Better in August 2019!